In another Valentine’s day brainstorm, I was trying to come up with homemade Valentine’s that people would appreciate and maybe brighten the day of some who may not otherwise get a valentine! Plus who doesn’t like a spot of tea! 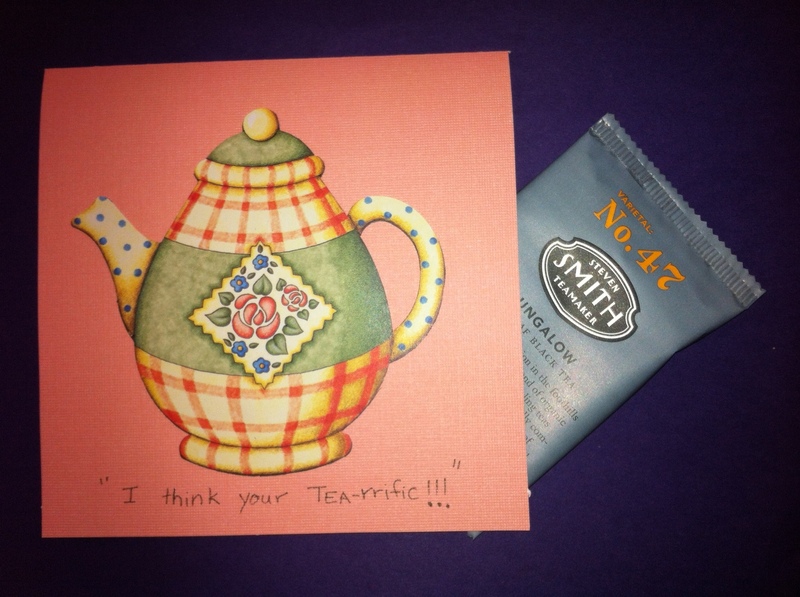 For a TEA-rrific teacher! To a tea-rrific grandma! I think you are TEA-rrific! 6) Give to your favorite Valentine!